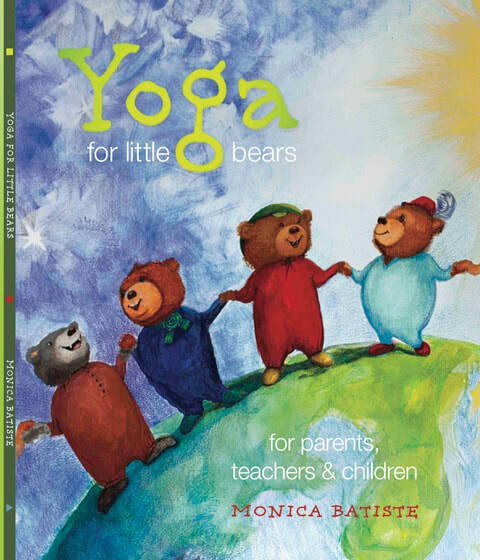 Yoga for Little Bears is a beautifully written and illustrated book for children and educators to help grow self-esteem and confidence through yoga, including mindfulness, balance and focus. Your kids will love the Australian references for 'Gumtree pose', 'Parachute pose' and 'Taipan pose.' They will discover yoga is not only fun, but helps them grow intelligence too. The author, Monica Batiste teaches yoga on the beaches of Australia, and is a trained artist and an established author. This book was created to support educators in schools and in home-schools. It has been reviewed in Australian Teachers Curriculum, Yoga Life Australia, and in Moreton Bay libraries. Yoga for Little Bearsincludes chapters on emotional intelligence, the empowering language of the virtues, and innovative yoga poses that reflect the Australian climate. Yoga will help you grow emotional intelligence and intuition, because yoga teaches you about yourself. Parents can teach emotional intelligence through role modelling, and positive acknowledgment. Written to support educators and children, emotional intelligence builds resilience, respect, compassion and unity. Emotional intelligence helps children protect themselves from bullies, soften their approach if they are a bully, and develop strong self-esteem to grow to their highest potential.